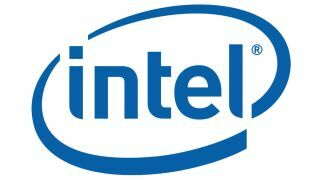 Sources are reporting that information about Intel's upcoming Ivy Bridge successor, the energy-efficient (codename) Haswell microarchitecture, leaked ahead of Tuesday's Intel Developer's Forum (IDF). Haswell chips will reportedly clock in at only 10 watts, cutting the power usage of the most efficient Ivy Bridge processors nearly in half. TechRadar reached out to Intel for more information, and a representative from the Santa Clara, Calif. company confirmed that "the new line will be about 10 watts." Intel has promised more information on the Haswell chips at this week's IDF conference. "Last year when we set out to reinvigorate the industry around Ultrabooks, we said we'd cut the mainstream mobile processor design power in half to enable this new category of laptops," Intel's rep told TechRadar. "We've been really pleased with these initial systems, which are getting great reviews." But Haswell will be the first chip "built from the ground up with the Ultrabook in mind," Intel said, "and tomorrow, we're saying that it's going better than expected." The Intel spokesperson said the new chips will be "targeted to operate at about 10 watts initially, while continuing to preserve many of the other benefits of Intel Core processor including leading performance, low idle power, single-chip packaging, and new graphics & security capabilities." It's long been reported that Intel's Haswell architecture will focus on cutting power usage. In August 2011, TechRadar reported that Intel would be investing heavily in Ultrabooks, saying that the eventual Haswell processor could consume half the power of current chips. Now sources are speculating that the energy-efficient Haswell processors, made all the more impressive by integrated GPUs that could put many discrete graphics processors to shame, could indicate Intel's growing desire to enter the mobile and tablet arenas. New markets in which to compete could prove a major boon for Intel, whose lowered Q3 2012 estimates and gradually falling stocks have recently had analysts worried. Now all eyes and ears turn to IDF on Tuesday to learn what Intel's going to be up to for the next few years.